Two pillars of my Retirement Investing Today strategy are to continually work to minimise expenses and taxes (total costs) while keeping to my required asset classes and investment types within the class. I work on the principle that I can’t control what happens in the markets but I can control the costs of investing. Now there is not much that is guaranteed in the investing world however I can’t think of any case where this strategy if done properly does not provide free return. does the fund physically hold the shares or is it a synthetic fund. Part of my ‘bond’ allocation is filled with NS&I Index Linked Savings Certificates to the tune of about 19% of total portfolio value. Unfortunately it looks like this route is now closed to investors for at least this financial year. Individual Savings Accounts (ISA’s). Personally I stay away from Cash ISA’s and only invest within Stocks and Shares ISA’s. Today I hold 13% of my portfolio within this tax effective wrapper. Pensions. Today I hold 38% of my total portfolio value here. When it comes to pensions though be aware they are not as tax efficient as the pensions industry makes out. The industry will typically say something like you benefit from basic rate tax relief on your pension payments and you may be able to claim further tax relief if you pay income tax at more than the basic rate. Additionally, they’ll probably also say that if you salary sacrifice you may also be able to save National Insurance contributions on the sacrificed amount. This is all well and good however in my opinion the reprehensible bit is that they never tell you that while you haven’t been taxed on the way in you are still taxed on the way out. This in my opinion is not tax relief it is simply tax deferral. Crudely, in my opinion, for very simple cases, pensions are only of significant financial benefit (which you have to weigh up against the many negatives) if you intend to take the 25% tax free lump sum and/or you will be taxed in a lower bracket on the way out (eg 40% tax payer today but a 20% tax payer in retirement) as it will likely always cost you more to hold investments within a Pension rather than an ISA. That statement is very controversial and I would welcome comments on it. I’m sure for example pensions might win in special cases like bankruptcy or if you are looking for means tested benefits.I looked at this from a financial perspective a little while ago and was able to demonstrate that some people could actually be worse off financially with a pension while also getting all the usual pension negatives. Decide on my investment classes and what investment types I want within this class. For example, I want to hold 20% UK Equities could be the investment class. The investment within the class could then be the FTSE All Share. Importantly, I do not say I want my class to be the M&G Index Tracker as while with this tracks the FTSE All Share there are a multitude of other providers who can also offer a FTSE All Share which could be available for a lower total cost of ownership. Decide if I want or can have these assets within a tax friendly wrapper. Ascertain the best wrapper provider and investment type provider that can give me the lowest total costs. Don’t panic and switch everything immediately as this could result in a higher total cost. For example I may have to pay buy/sell spreads or it could expose me to capital gains tax. 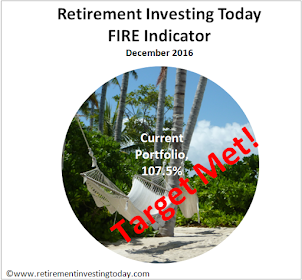 When I first started my Retirement Investing Today journey my total annual expenses were 0.6% of my total portfolio value. By following the above guidelines religiously I have driven these annual expenses down to 0.35%. This might not sound like much but if you consider a balanced portfolio may only provide a long term Real (after inflation) Annual Return of somewhere in the vicinity of 4% it means you have just given yourself a risk free annual increase in return of 7%. Now who wouldn’t want that. What are your annual expenses today? When it comes to the ISA wrapper I think I have found the cheapest provider for me today. I have settled on TD Direct Investing (formerly TD Waterhouse). Providing the account is valued above £5,100 there are no annual wrapper expenses. There are also no other regular expenses (there are some one of expenses such as if you want to close the account) that I am aware of such as penalties for holding certain funds or a fee of a percentage of certain fund constituents. Additionally there are no set up expenses. Their standard online (I buy everything online) trading expenses are not the cheapest at £12.50 however I buy very infrequently and when I buy it is a reasonably large trading amount making TD Direct the cheapest ISA provider for me. Of course, for your needs an alternate provider may be cheaper. What provider are you using? There are many tens if not hundreds of SIPP providers out there. Getting a shortlist of cheap providers is therefore time consuming. When doing this for myself I settled on 4 providers that warranted more detailed analysis. These were the Sippdeal SIPP, the Alliance Trust Select SIPP, the Hargreaves Lansdown (H-L) Vantage SIPP and the Best Invest Best SIPP. While all being low cost SIPP providers these 4 contenders are also the only 4 providers that allow you to buy Vanguard UK low cost mutual funds within the SIPP wrapper. So that’s my shortlist. As always Retirement Investing Today is all amount emotionless mechanical investing. Let’s therefore run some analysis on these SIPP providers to ascertain who really can provide the cheapest low cost SIPP. This is not a trivial exercise as each provider structures their charges in a different way plus may have fixed (eg £12.50 per quarter) and variable (eg 0.5% of the total ETF value within the wrapper) expenses. To enable this analysis I’m going to create 3 fictitious investors. All of these investors currently have a Defined Contribution Stakeholder or Group Personal Pension Plan (GPPP) with an insurance company who are charging high annual expenses, they are all still in the accumulation stage of life and they are not worried (yet) about expenses when they start to take their pension as anything could happen by that time. They each want to analyse the expenses they might see if they were to transfer their single pension to a low cost SIPP provider which they can then compare with their existing pension costs. If they transfer they will ask their existing pension provider to sell their investments and transfer cash only (ie not an in-specie transfer). Average Joe is early in his investment career. He wants an easy life, doesn’t find investing interesting, doesn’t want to worry about having to rebalance his portfolio at pre-determined intervals but realises the importance of minimising total expenses. He is transferring £10,000. After doing his own research he settles on the Vanguard Lifestrategy 80% Equity Fund as a one stop shop which can meet his desired asset classes and investment types within the classes. He decides that he will buy the Income variant of this fund and will reinvest the dividends annually. 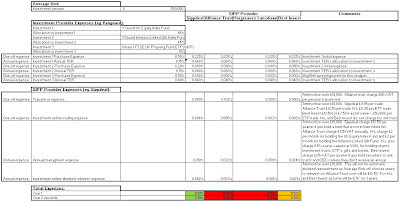 The total expenses associated with holding this fund in the SIPP’s plus the analysis to calculate these expenses are shown in my first table below. These expenses are not particularly small. However while not small there is in my opnion only a very small possibility that Average Joe’s existing pension would have lower expenses. Even though these expenses are not particularly small, they are still likely better than any Stakeholder or Personal Pension that is offered on the market. Even sourcing an insurance company Stakeholder pension through Aviva via somebody like Cavendish online and buying basic funds Average Joe is going to be paying an Annual Management Charge (AMC) of 0.55% (1.00% if going direct to Aviva). Also remember that the AMC is not the total expenses that will be seen by the fund so the SIPP is likely to win on an ongoing basis. There is a massive spread of expenses between the four SIPP providers. It is almost as though Alliance Trust and Best Invest are saying they don’t want people early in their investing career with expenses almost 4 times that of Hargreaves Lansdown in the worst case. Average Jane is still relatively early in her investment career also but by living very frugally has paid more into her pension and so has amassed £100,000. She finds investing a little interesting but still wants an easy life so decides to buy the basic building blocks of UK Equities and UK Bonds only. After doing her own research she settles on a 50% allocation to the Vanguard UK Equity Index Fund and a 50% allocation to the Vanguard Inflation Linked Gilt Index Fund. She decides that she will buy the Income variant of these funds and will reinvest all dividends annually into the fund which has performed the worst in that year. The total expenses associated with holding these funds in the SIPP’s and the analysis to calculate these expenses are shown in my second table below. I cannot believe that you would find a Stakeholder or other non SIPP pension with lower costs than this on the market. If you do know of one please leave a comment so that other readers can be made aware. Even with £100,000 to invest it appears as though Alliance Trust and Best Invest still don’t want the business of investors trying to build a low cost portfolio. Average Bob is advanced in his investment career. He finds investing interesting and doesn’t mind a reasonable amount of active portfolio management. He has also lived incredibly frugally and so has amassed £500,000 in just his pension. After doing his own research he settles on a 45% allocation to the Vanguard UK Equity Index Fund and a 45% allocation to the Vanguard Inflation Linked Gilt Index Fund. He decides that he will buy the Income variant of these funds. He also allocates 10% to an iShares UK Property ETF. As with Average Jane he will reinvest all dividends annually into the fund which has performed the worst in that year. The total expenses associated with holding these funds in the SIPP’s plus the analysis to calculate these expenses are shown in my third table below. Once you reach the point of large sums of money invested within your SIPP it appears that the four SIPP providers expenses converge. The one I would be most worried about would be Hargreaves Lansdown’s 0.5% annual charge if you hold large portion of your SIPP in shares, investment trusts, ETF’s, gilts and bonds. So which is the cheapest low cost SIPP (self invested personal pension)? Unfortunately, the answer is not a simple one and it depends largely on what you are going to hold in the SIPP plus how much of it you are going to hold. An apology if this has been difficult going. Pensions and their expenses are a very complex topic which has also caused this post to be longer than normal. This is just one opinion within this topic. As always I would welcome feedback in the Comments section below. Has anything I have written not made sense? Are you thinking of transferring to a SIPP? Do you already run a SIPP? Do you know of a cheaper low cost SIPP? Full disclosure: I personally found Sippdeal the cheapest for my needs when I ran this analsysis and so have transferred 2 high expense GPPP’s. I've used SIPPDeal for my SIPP for a few years now. No expenses other than dealing fees; they do a regular investment service once a month which I use to re-invest dividend payments for £1.50 + stamp duty per trade. Cheapest SIPP I can find. I have 2 Sipps with Sippdeal and 1 with H-L. The H-L Charge of 0.50% has a maximum of £200. This is reasonable when your fund builds up. Sippdeal no charges. But all my stock is PIBS, Preference shares Investment trusts and ordinary share. No Funds I invest for income that way I dont care if the market fluctuates. Downwards its a buying opportunity. At present all my Sipps annual incomes are way above what I would be allowed to take. But that another story. Your point about the tax advantages of pensions being overstated.... I think you are missing the advantage of having your pension investment compound up gross. This means that you get to invest the taxman's money, and keep any return you make. If your money makes a zero return then you are right the tax is just being deferred, but if you make e.g. 5% per year gross then your pension will accumulate at that rate (instead of e.g. 3% net) and both your lumpsum and pension income will all be that much higher. Thanks for sharing. Sippdeal came out cheapest for me as well. The above case studies also show it to be pretty competitive (1st or 2nd amongst the very lowest in terms of cost). Thanks for the feedback. Yes I captured the maximum charge of £200 within the analysis. I agree it becomes less significant as the pot builds up but I'd still prefer to not have it and instead have the money in my own pocket. I also use H-L but it is simply a Fund & Share Account (no tax advantage) but it does spread my provider risk a little further. Re your last point. I guess you're referring to the current low GAD rates? 1. I start with £10. It's taxed at 20% so I have £8. I invest this for a year and get a 10% return so now I have £8.80. I invest this for a second year and so now I have £9.68. This is how the ISA works. 2. I start with £10. I invest this for a year and get a 10% return so now I have £11. I invest this for a second year and so now I have £12.10. I now want my money back and so pay my 20% tax which leaves me with £9.68. This is how the Pension works. I've ended up with the same amount under both methods. There is no benefit to compounding up gross. That is too simlistic RIT, very few would forego the tax break of taking 25% of the pension return tax free, effectively reducing the tax take in your above example. There's also the very real advantage that higher tax payers and basic rate taxpayers choosing salary sacrifice enjoy by using the pension route, essential to boosting returns particularly when coupled to your advice on cost reduction. If you reworked your example using 42% and 31.8% rates on the way in and 20% on the way out, along with taking the tax free element. the gross returns would be very different. Of course such advantages, routinely extolled by those in the industry, do seem to be their raison d'etre to rip clients off, and yes, the use of ISA's as a secondary savings vehicle cannot be underestimated. Other than that, your message is a good one. If you plan to invest in unit trusts, its worth looking at cavendishonline.co.uk they are an IFA that refunds all the trail commission, which often is .5%. There are other charges from Fidelity who run the SIPP, but you also have access to to things live fix term deposit accounts. Thanks, once again. I'm no expert, but your comments about pensions vs. ISAs certainly chime with my understanding. Of course, those whose employers will match contributions, and especially higher-rate tax payers, will find more to appeal to them in pensions. My plan is to use the ISA allowance to its fullest, then towards the end of each tax year, have a look at what's left over, along with my tax situation for the year, and try to make an informed decision whether to pay something into a SIPP. I figure it's still better in a SIPP than not in a wrapper at all, but I could be wrong. Incidentally, I'm with TD Direct too, and it may be worth pointing out that the £5,100 minimum to avoid fees doesn't apply if you take their Regular Investment option. I think that route will be convenient for many people anyway. And apologies if I start to sound like an advert for TDD, but I should also mention that the £12.50 dealing cost does not apply for funds, so they have worked out to be remarkably cheap for me so far. Thanks for sharing the Cavendish SIPP option via Fidelity as a possible option. Are you personally using them? If yes, can you share your experiences for readers on costs? Agree with you on the type of person who will find pensions the most appealing. Imagine earning just above £100k where the effective tax rate is 60%, getting employer match and salary sacrificing. IMO you would be mad to so no. Also thanks for sharing your tax efficient investing strategy and for clarifying some additional low expense benefits of investing in the TD Direct ISA. This is an excellent write up with useful comments from other contributors. I am considering going with Sippdeal. Does the trading platform within Sippdeal work well? In particular do limit orders for buying and selling work reliably? So far I've only bought funds and ETF's at market prices. I've had no problem with either of these 2 transaction types. Additionally I've also found their email response times and replies a very positive experience. Unfortunately I can't offer any details on limit orders as I haven't traded in that way. Do any other readers have any information on how well limit orders work on Sippdeal? Have you not ignored those people who are starting from say £10000 but wanting to pound cost average and contribute say £100 a month? I think SIPPdeal is the best in this case. Thanks for highlighting this. Every person's situation is going to be different and yes the simulations I ran didn't include a regular contribution model. I guess I was biased as my own situation maximises return by contributing to my companies insurance company based Group Personal Pension then if/when I move companies or if/when my company changes its provider or pension format I move (if it is beneficial) it to my SIPP. I have done this twice now. As always everyone should do their own research as everyone is different. Hi there, great review of SIPP options but just to say that some of the Bestinvest literature might be a little misleading - there is only one charge to hold Vanguard/non trail funds no matter how many you hold - their charge sheet gives this impression but I called them up and confirmed it was only £25/quarter (iirc) whatever the number. Would that change your calculations at all? Hi I am back (Taken2Often). A few points. To say that there is no great difference between SIPP and ISA is misleading if you leave out the 25% tax free lump sum. I have a large amount of PIBS and Sub Bonds and I save 20% tax. I also have these in my ISA. The ISA is part of your estate and could be hit by 40% tax. I have three Sipps to be switched on as required. If not,the funds go to the nominated beneficeries tax free, a major plus. One of my Sipps,my ISA and a Fund and share account is with H-L. The sipp is now well past the £200 per annum charge. ISA charges were also £200 but have been reduced to about £50. Fund and Share account no Charges and I have about 50 positions. I am in the process of funding my ISA from the Fund and Share account which is taxable. I also use this taxable income as income keeping within the annual fund income it generates.I will never need to have a forced sale of assets to obtain income. Thanks for the comment. The BestInvest calculation was made exactly as you describe so the calculation is correct. That is £25 per quarter however note that it is actually £25+VAT so actually £30 per quarter. I don't think in any of my posts I have ever left out the 25% lump sum as it is one of the key benefits of pensions. In this post I said "... pensions are only of significant financial benefit (...) if you intend to take the 25% tax free lump sum and/or you will be taxed in a lower bracket on the way out (eg 40% tax payer today but a 20% tax payer in retirement) as it will likely always cost you more to hold investments within a Pension rather than an ISA." The linked post above comparing Average Joe and Bob also took the 25% lump sum into account. The aim of that post was to encourage people to do their own research and not just assume that the only retirement vehicle is a pension. Could you please point out where I've failed to refer to the 25% TFLS and been misleading so that I can correct the post? I'm not familiar with with PIBS and Sub Bonds. Could you explain how these work and how you save 20% tax in your pension? For example, I've just completed a quick Google on PIBS and it appears as though Income tax is payable on the income. The only thing I can think of is that your total earnings for tax purposes are below the 20% tax bracket. Thanks for sharing the other points. They are exactly why I started this blog. So that I and others could share information for mutual benefit. Note that I also have a Fund and Share Account with H-L.
hi everyone, i've just done this exercise recently based on my own situation & found that one of the biggest expense factors, with low cost sipps, is buying & selling stuff & lets not forget, sipps are designed to do this. In my case i did the exercise based on £50k, 10 or 20 trades per month & a mixed portfolio of 20 different investments in funds, oeic's, etf's & shares. I must have looked at 10 different sipps, narrowed it down to three, best invest, interactive investor & sippdeal. Best invest came out the cheapest with a total AMC of of no more than 2.5% or £1250 a year. Bearing in mind a lot of people wont use a sipp like this but to those who will, like me, need to know how much the buy/sell costs involved are as i believe its one of, if not the most expensive part of a sipp. Sorry I lost track of the question. There have been a lot of articles suggesting that ISA is better than a Sipp. In the long term input tax relief and compounding should make the Sipp the better deal as long as it is low cost and not one of these insurance company Sipps. The spread between buying and selling PIBS is large between 6/10p so when you buy these its for life if not longer. When you die they do not need to be sold but transfered by the executor if they want to and as long as they exist. They can be risky. Northern Rock and Bradford and Bingley PIBS are suspended at the moment. PIBS and dated Sub Bonds are paid Gross a 13% Pib pays 13p a year, your yield is determined by what you pay for it. My first batch 8 years ago was about 6.5%. When the Banking problems arose Building Societies were also caught up in it and I think a lot of Pension funds and Councils had to sell because the credit rating dropped. I have been buying at a much higher yield since then. Between PIBS and Preference shares I have during the accumulation period establised a nearly guaranteed income flow. The other investments with a greater than 6% yield will hopefully provide dividend growth over the years. 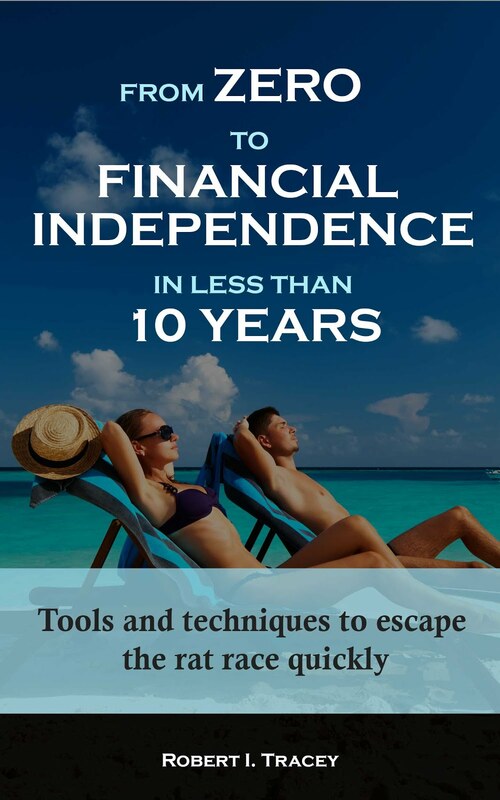 My youngest SIPP (Protected Rights and old Section 32 pension) which I would start first is producing 60% more income than I am allowed to draw. I have PIBS in my H-L Fund and share account and these were my first PIBS which I pay 20% tax on. I am now transfering them into my H-L ISA so I save this 20%. They have a special arrangement that only cost £30.00 per transfer which is just great when you consider the spread. As a matter of interest unless I had to pay off a mortgage or some serious debt I would not take the 25% TFLS. I would be destroying my income stream. If the markets dropped 30% it would make little difference to me except the GAD Rules would stop me drawing my pension. What I am working on is to be able to draw the 25% from Income over a period that suits me. At present this is not allowed as Drawdown would beat annuities hands down so thats an no no. Thanks for sharing an alternative view. That of a trader type strategy as opposed to the investor type startegy. It's interesting for a relatively frequent trader that Best Invest wins so we have yet another winner (in addition to SippDeal and Hargreaves Lansdown) depending on how you use the SIPP. If I bump Average Joe's investment to £50K and look at Best Invest his 1st year costs would drop to 0.8% and his 2nd year onwards costs would drop to 0.56%. Your costs of 2.5% mean you have to beat Average Joe's portfolio by a full 2 percentage points to justify the level of trading you are doing. A strategy of very low turnover, buy, hold and rebalance is a key fundamental of the Retirement Investing Today portfolio. To compare I opened my SippDeal SIPP almost exactly 1 year ago with my first pension fund transfer. I have just recently made a second transfer. In that time I have bought 9 times and not yet been forced to sell. Assuming on average you are making 15 trades a month you are making 20 times more trades than I am which are costs that could be compounding in your portfolio. To share my experience. I proved a long time ago that I couldn't market time so went from attempting to trade to instead long term investing based on a mechanical, non-emotional strategy that would force very infrequent trades. Do you feel you are recovering that extra 2% compared to Average Joe with your large trading levels? Thanks for the very detailed reply. Those yields look very tasty compared to what else is within the Retirement Investing Today portfolio. Although as you mention this is probably to reward the risk you are taking. I have a post coming up (hopefully Sunday) which looks at Risk when trying to achieve Retirement which might prompt some good further discussion and thoughts. Thanks also for sharing your investment strategy in a little more detail. It's certainly given me something new to go off and investigate. I hope you stop in regularly as your alternate strategy would be a refreshing contrast to the one I have chosen. We could then see who benefits where as Mr Market twists and turns. All great educational stuff. This is very useful article and I am currently looking for the best SIPP to open. 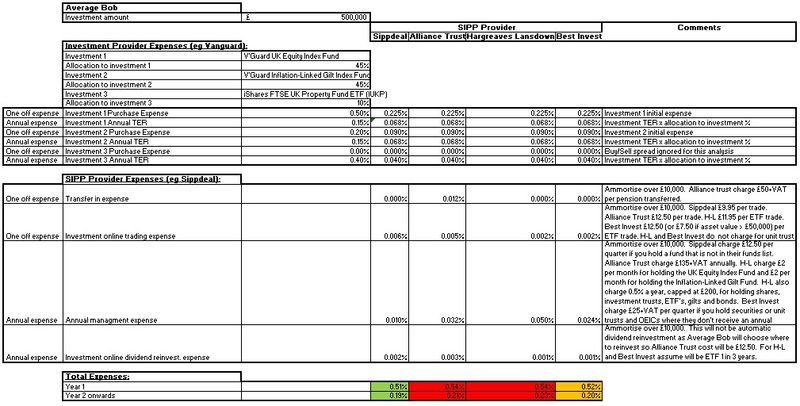 However my info is that SIPPdeal do NOT offer Vanguard funds, and indeed have very very few funds with AMCs under 1%. This for me would make them much more expensive, well wiping out the advantage of their lower annual fees. So looks like Alliance Trust Select best for me. The confusion may centre around the Funds List published on Sippdeal's website. If you only buy funds from this List (which doesn't include Vanguard) then you don't have to pay the quarterly charge. If however you choose to buy funds offered by Sippeal that aren't on their list, which includes the Vanguard Funds, then you are up for the £12.50 per quarter charge. I am considering opening a SIPP that I was (at least initially) going to invest mainly in funds; the aim being to reduce the TER associated with my retirement savings. However having read a lot of thoughts, opinions, etc, and subsequently looked around the web sites of the main low cost SIPP providers, it seems to me that whilst some funds, e.g. the Vanguard ones you have mentioned do have low charges, annual charges of circa 1% - 1.5% seem to be more the 'norm' and as such targeting lower charges severely restricts your investment choices. I was wondering whether anybody had dabbled with generally just 'borrowing' the investment advice published by these funds (their 'top 10 holdings' generally cover more than 50% of the fund)? 'Loosely' for 'Average Jane', the charges associated with this approach would have 1st year costs of circa 0.8% (0.5% stamp duty + say 30 share purchase transaction) and on going costs (Hargreaves Lansdown)of £200 per year or 0.2% (decreasing as the funds climbed above £100k). I appreciate that these funds are designed using statistical techniques to target a return and volatility; however even investing in their top ten holdings should theoretically provide a good deal of diversification and mirror the returns of the market you are targeting. Obviously if I were brave enough I would have 'jumped in' already, but I am not and as such I am interested in whether anybody has an experience to share in this area. This article is a few months old so you might not get to many comments to your question. John Hulton is posting tomorrow and has a little to say on this topic so you may want to repost your question on that topic. - Try Googling "what percent of fund managers beat the index before fees" or similar. How do you know you are going to pick the Fund Manager that outperforms the market for a very long time? Actually, does that Fund Manager even exist? - By copying their moves there will be a delay between what you do and what they do. If they buy big and the price moves up based on their move you could be buying at the higher price which equals under performance. Similarly if they sell and prices fall then you also are behind the curve. If you don't notice they have repositioned themselves then anything can happen. That said please do your own research. I'd be interested to hear what you decide after some more reading. I will repost later as you suggest. As regards 'Beating the Market', ultimately this is a zero sum game at least on a consistent basis, since to 'beat the market', you have to take on above market risk, which exposes you to bigger wins and bigger losses. My understanding is that these funds are designed literally to provide the highest mean returns for a given level of risk; obviously the higher the risk, the higher the potential returns and losses. So whilst fund holdings will be readjusted periodically, at any point in time the holdings in a fund are reasonably well diversified. I was not particularly planning to trade as the funds trade, but rather mirror ones I was interested in and adjust periodically if there are any significant changes to the holdings and therefore the risk / return associated with the fund. I have not done a lot of research, however what I have done indicates that the targeted returns and volatility of these funds is unfortunately not 'published data', although the iii.co.uk web site appears to have some information. You could try Morningstar or Citywire have a useful league table of funds and sectors over different time periods including pension fund choices. I can't comment on your exact case but I can give you what I am doing SIPP wise. I'm a happy Sippdeal customer and hold a very significant sum with them. Investments include Vanguard funds and iShares ETF's. - I find the platform no nonsense and easy to use. TBH at the moment I have nothing negative to say about Sippdeal. Another thought also. To me platform fees of 0.35% sound like a lot. My platform fees at Sippdeal are £12.50 a quarter with the investments I hold. On top of that I only have my buy/sell costs. Great blog RIT, congratulations on reaching your FI number - you're an inspiration to us all. I'm in the process of selecting a SIPP for > £100k of pension funds, intending to invest in ETFs. Lowest cost appears to be X-O.co.uk (effectively no fee - see Monevator broker comparison) and AJ Bell Youinvest (formerly Sippdeal). Most of the ETFs will pay dividends in USD so I'm keen to know the FX charges, AJ Bell Youinvest charge 0.5% but it's unclear with X-O (I've fired off an email to them). I seem to remember you chose HL for a 2nd SIPP? From their T&Cs they state under A13: "The conversion rate used will be up to 1.7% away from the prevailing interbank exchange rate." My question is, have you compared FX charges for the platforms you use - perhaps this may inform future purchases (i.e. put ETFs with high dividend payments in platform with lowest FX charges)? This really is nitty gritty stuff but I thought if anyone had considered it, it would be RIT! Thanks again for the great blog and keep it up post-FI! "A foreign exchange charge of 1.5% will be included in the rate used to convert the value of your deal to sterling. This rate is set at 8am each day."